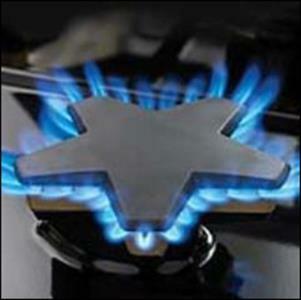 The exclusive, sealed 3-in-1 Star® Burner’s unique five-point design offers a reduced cold spot, faster time to boil and the ExtraLow feature. The coverage area allows for more ports and more flame distribution than a round burner. The ExtraLow feature provides the widest variety of temperature control of any simmer system. It cycles on and off to maintain temperatures as low as 100°. Perfect for simmering delicate sauces or keeping food warm without scorching. 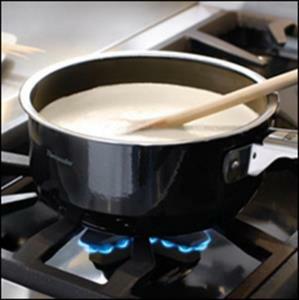 The unique five-point design of the patented Star® Burners directs heat evenly from the center of the pan to its edges for faster time to boil. 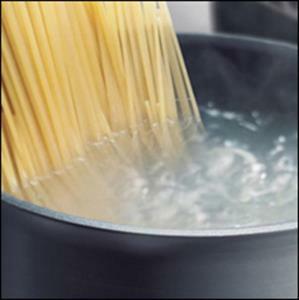 It boils water over 50% faster than leading competitors. The raised pedestal burner and porcelain maintop have been crafted for perfect integration and easy cleanup. 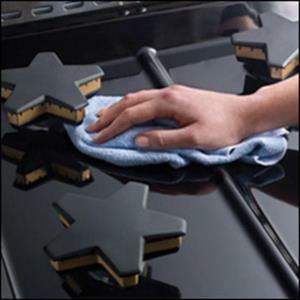 A hand and sponge fit easily under each burner to wipe the surface clean and a teardrop emboss reduces food buildup near the base. Also available as dual fuel model (PRD304GHU) and liquid propane (PRL304GH). Please inquire for more information. 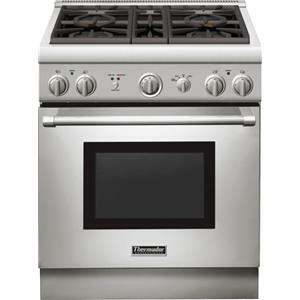 The Ranges - Thermador 30" Pro Harmony® 4 Burner Gas Range by Thermador at Furniture and ApplianceMart in the Stevens Point, Rhinelander, Wausau, Green Bay, Wisconsin Rapids, Marshfield, East and West Madison, Wisconsin area. Product availability may vary. Contact us for the most current availability on this product. Total Oven Capacity 4.5 Cu. 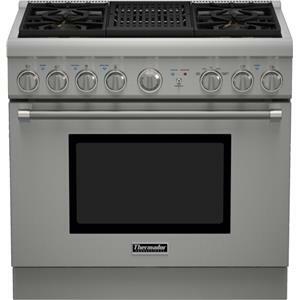 Ft.
Thermador Professional Ranges are for those who want complete control and the best cooking technology available. Professional ranges are commercial restaurant quality that are built to last and built to create masterpiece dishes. 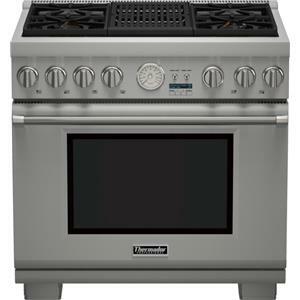 Thermador Professional Ranges come in two distinct series, Pro Harmony® and Pro Grand®. Pro Harmony® offers standard depth (24 inches), typically found in home kitchens and Pro Grand® brings commercial depth (27 inches) from the restaurant to your kitchen. Options vary between number of burners from four to six and different options such as griddle and an electric grill. 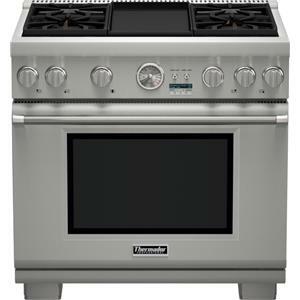 Options with auxiliary ovens and features including steam cooking are available. Choose between gas, dual fuel and liquid propane. Come into our store to learn more about Thermador and what it can do for your kitchen. 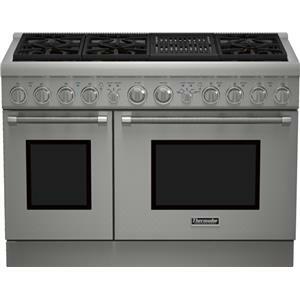 The Ranges - Thermador collection is a great option if you are looking for Appliances in the Stevens Point, Rhinelander, Wausau, Green Bay, Wisconsin Rapids, Marshfield, East and West Madison, Wisconsin area. Browse other items in the Ranges - Thermador collection from Furniture and ApplianceMart in the Stevens Point, Rhinelander, Wausau, Green Bay, Wisconsin Rapids, Marshfield, East and West Madison, Wisconsin area.